Stainless steel ring with a brushed finish. 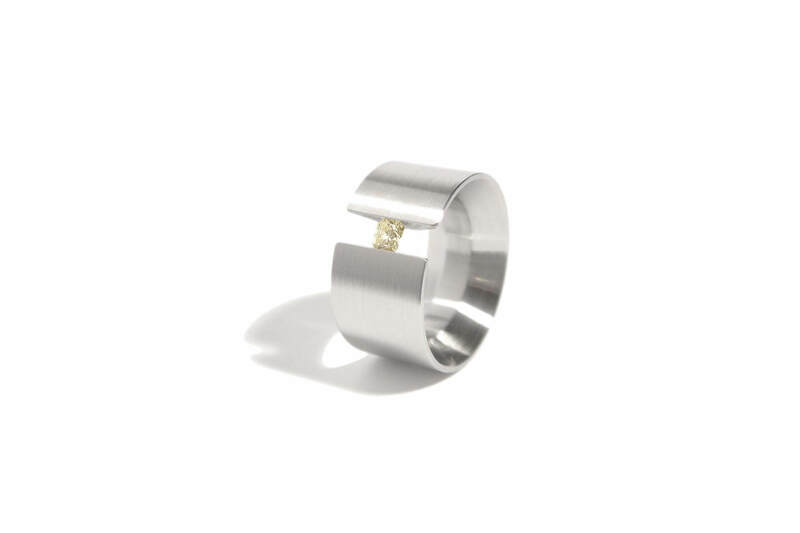 This ring features a tension set 0,50crt flanders cut yellow diamond. This ring has a 40 degree angled inside.